First psychedelic mixed media performance in the United States. 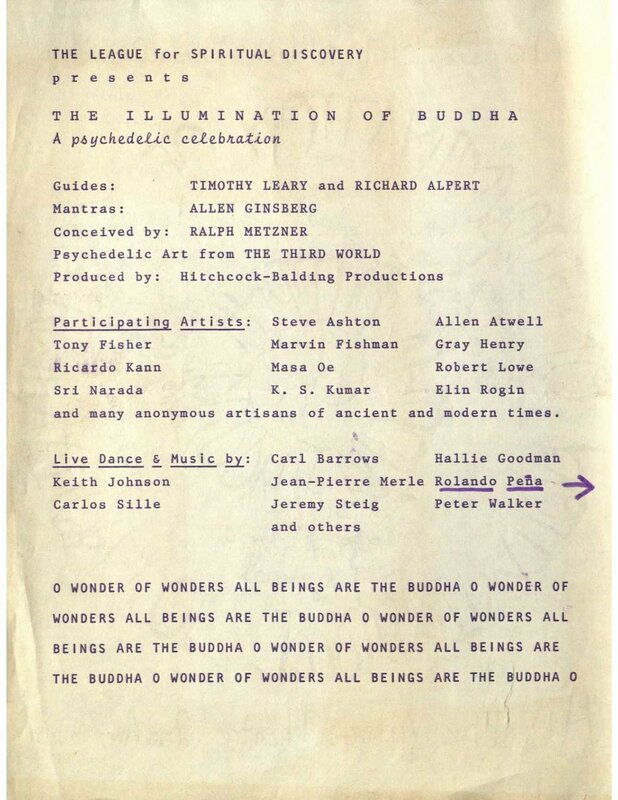 "The Illumination of Buddha" was the third part of "The Psychedelic Celebrations," the first psychedelic mixed media performance in the world by Dr. Timothy Leary, Dr. Richard Alpert, Dr. Ralph Metzner and Allen Ginsberg. 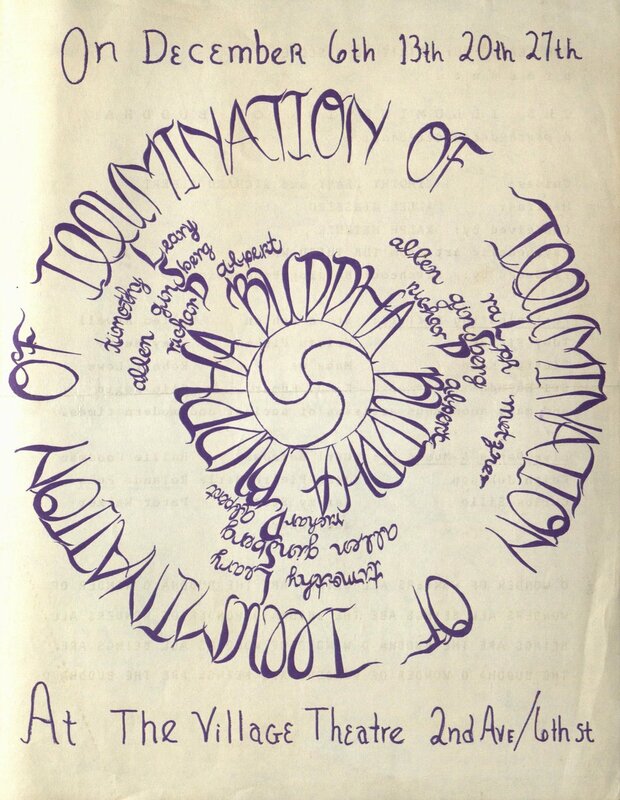 Elements such as black light, strob lights, fluorescent paint, photographic images of cellular patterns, sensory meditation, lecture-sermon-gospel, mantras and music were used to trigger "the collective unconscious" of the audience. The dance and choreography created by Rolando Peña used recorded sound of original indigenous tribes of Venezuela. The naked bodies of the dancers were painted with fluorescent colors highlighting petroglyphs. 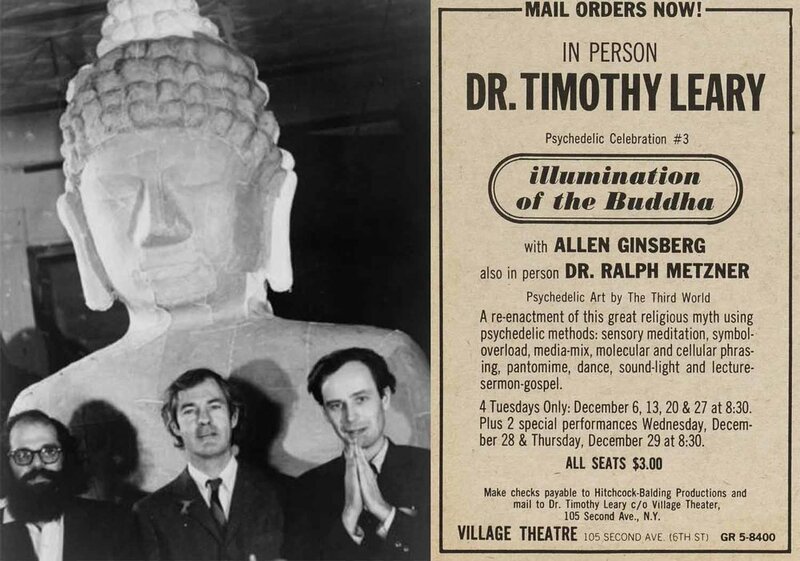 "The Illumination of the Buddha" was staged at the Village Theatre and was produced by Hitchcock-Balding Productions, and it was one of the most talked shows in New York among important intellectuals and celebrities during the years 1966 and 1967.